In this video we will show you how to restore unsaved word document. In order to restore unsaved word document, open Microsoft Word. Go to the “File” tab. Click on the “Info”. 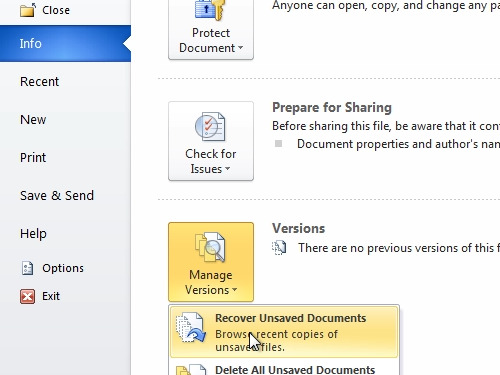 Open “Manage Versions” and in the pop-up window choose “recover unsaved documents”. Select a file and press “open”. Now you know how to restore unsaved documents in word.